The Norton offers internships to college students interested in art museum careers and in connecting with creative professionals while gaining work experience. The Norton Museum of Art Summer Internship is a paid, full-time, seven-week program that provides undergraduate students the opportunity to gain practical art museum experience, engage in intellectual discourse, and develop professional skills. This internship is open to undergraduates at any accredited U.S. college or university, and to those who have earned a B.A. degree within the past year, but are not currently enrolled in graduate school. All applicants must have successfully completed at least two college-level courses in art history. Applications will be accepted beginning November 1, 2018. Deadline March 29, 2019. Work in departments throughout the Museum based on departmental needs and intern interests. Develop an exhibition with a Curator and the Associate Curator of Education. Lead summer camp tours through Museum special exhibitions and the Museum Collection. Participate in meetings with art world professionals and visit regional arts institutions. Engage in weekly readings, writing assignments, and discussions of current art historical and museum studies issues. Organize an exhibition of artworks from the Museum Collection. The program is open to undergraduates at any accredited U.S. college or university, and to those who have earned a B.A. degree within the past year, but are not currently enrolled in graduate school. All applicants must have successfully completed at least two college-level courses in art history. Interns will be paid and receive housing. Applications must include all materials listed below. Incomplete applications will not be considered. Application materials will not be returned. Letters must be sealed and signed across the flap by the recommender. Letters can be sent with your application or separately for receipt by March 29, 2019. For more information, contact the Associate Curator of Education for Public Programs at (561) 832-5196. 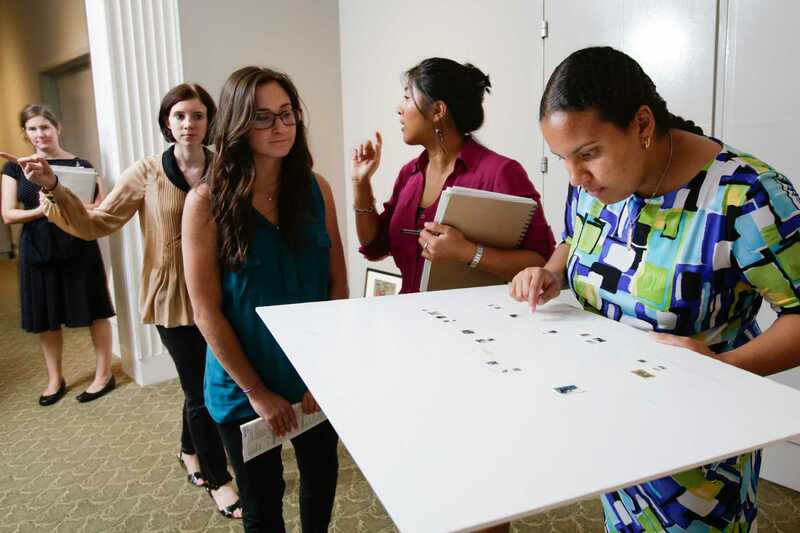 The Norton Museum of Art Public Programs Internship is a paid, part-time, semester-long program that provides one undergraduate, recent graduate, or graduate student the opportunity to gain hands-on experience in Public Programs in a museum while working with a team of museum professionals. Applications for Spring 2019 are no longer being accepted. For opportunities for middle and high school students between the ages of 13 to 17, click here.